WASHINGTON – (Newsblaze) The White House touted its numbers claiming 57 months of consecutive job growth, 10 months of 200,000 per month job gains along with lower oil prices when its chief economic adviser Jason Furman addressed reporters at Tuesday’s Daily Press Briefing. The soundbite that the administration did not want to hear occurred. “I’m not saying it’s morning in America. I think we’re digging our way out of a really deep hole, and we’re still not all the way out of that hole. 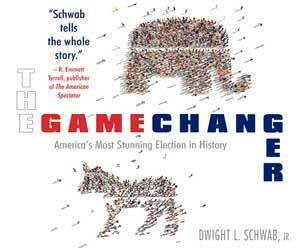 The unemployment rate at 5.8 percent is not all the way to where the unemployment rate should be. Wages are certainly not all the way to where they want to be, but absolutely moving in the right direction,” Furman explained. Major Garrett of CBS news from the front bench noted the lagging wage growth right off the bat in a Center for American Progress Study that showed the average family of four earns $10,000 less while the cost of living went up by the same amount. Furman responded that although people struggle with that question, the White House felt that the CPI – Consumer Price Index – was the most accurate measurement because it factors the proportions people spend on various consumer necessities. 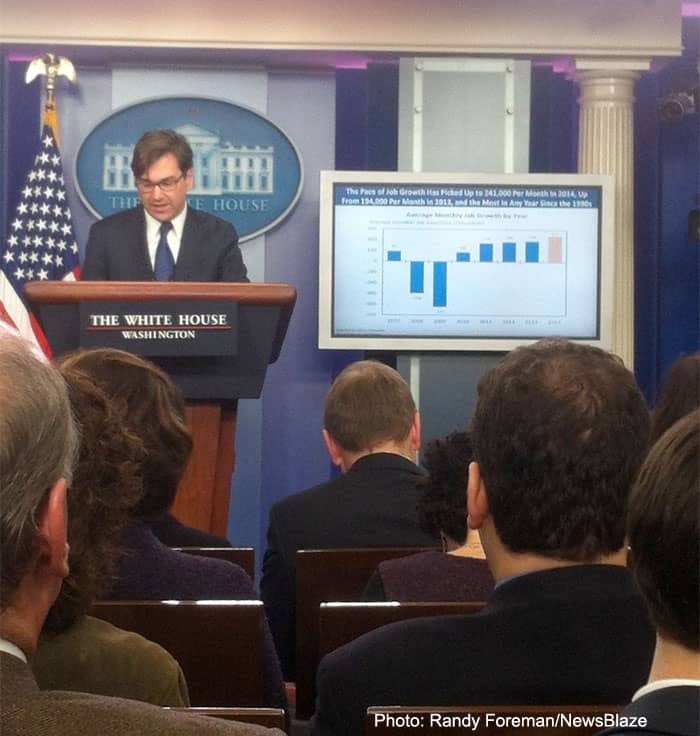 White House chief economic adviser Jason Furman addressed reporters at Tuesday’s Daily Press Briefing. Also weighing heavily on the minds of scribes in the Brady Press Briefing room was the recent collapse of the Russian Ruble and how US Sanctions were impacting Russia. “If I was chairman of President Putin’s council of economic advisers, I would be extremely concerned. They’re between a rock and a hard place in economic policy. The combination of our sanctions, the uncertainty they’ve created for themselves with their international actions, and the falling price of oil has put their economy on the brink of crisis. That gives you only bad choices. You can raise interest rates to defend your currency as they’ve done, and that will contract and hurt your domestic economy, which will further undermine confidence, or you can not do that and allow more of a collapse.” Furman noted. Only one tenth of one percent of US GDP is tied to Russia according to the White House. Later in the briefing, the White House was asked if it thought Russia was being provoked by US sanctions. “Well, I think I’d say a couple of things about that. … [T]he consequences of allowing Putin to send the army, or at least Russian military personnel across the border into Ukraine to support the activities of the separatists in eastern Ukraine, allowing that to go without consequence would send a very dangerous signal to President Putin. It would also send a very dangerous signal to other countries around the world that may have designs in improperly interfering with some of their neighbors as well,” Josh Earnest said. Josh Earnest will address reporters on Wednesday in the West Wing.